I’m really mostly a soap maker, but I do make a few other products I sell. 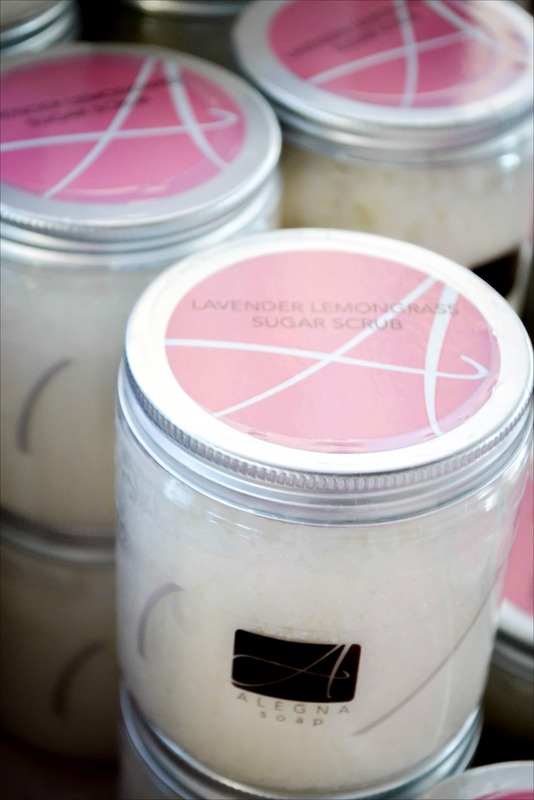 I love sugar scrubs because they make my skin feel so smooth after I use them. This is because they exfoliate your skin. Once or twice a week use a manual scrub like a sugar or salt scrub or a brush to remove the dead cells from your skins surface. If you use a brush remember to use a moisturizer after. If you use my sugar scrub, you won’t have to. Once you wash away the sugar, a thin film of the organic oils will be left on your skin to help keep it soft. This picture is of my Lavender Lemongrass sugar scrub. My favorite scent! I also make a Peppermint scrub and a Lavender scrub. Which is your favorite?